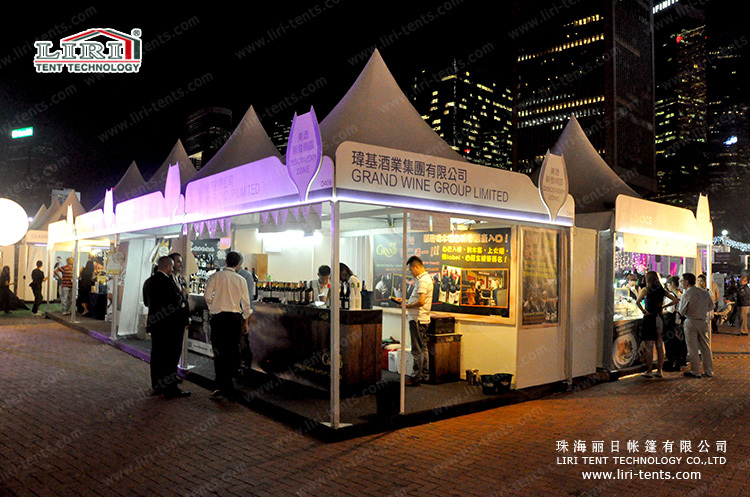 The 2015 Hongkong Wine and Dine Festival is holding in the beautiful port. Have you been there to have fun? Have you paid attention to all kinds of tents? Very glad, our company, Liri Tent cooperated with the big event once more. Among the different kind of tents, the Pagoda Tent must be the leading role which attract your eyes. 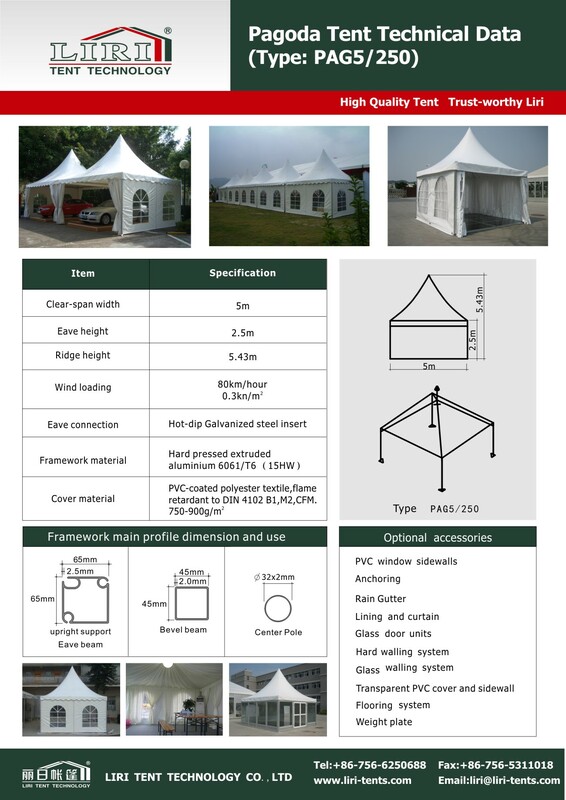 The standard Pagoda Tent Series is available in 3x3m, 4x4m, 5x5m, 6x6m, 8x8m and 10x10m which with the high peak. It could be used as the single unit or combined to enlarge space and become a special structure style with a rain gutter.